ISLAMABAD: The Ambassador of People�s Republic of China to Pakistan, Sun Weidong said on Friday the cooperation with Pakistan on the nuclear program would continue and the reservations of some states in this regards were baseless, DawnNews reported. The Ambassador said the Pak-China civil nuclear cooperation was according to the standards set by the International Atomic Energy Agency and the deal would soothe Pakistan�s energy-starved state and the economic condition as well. 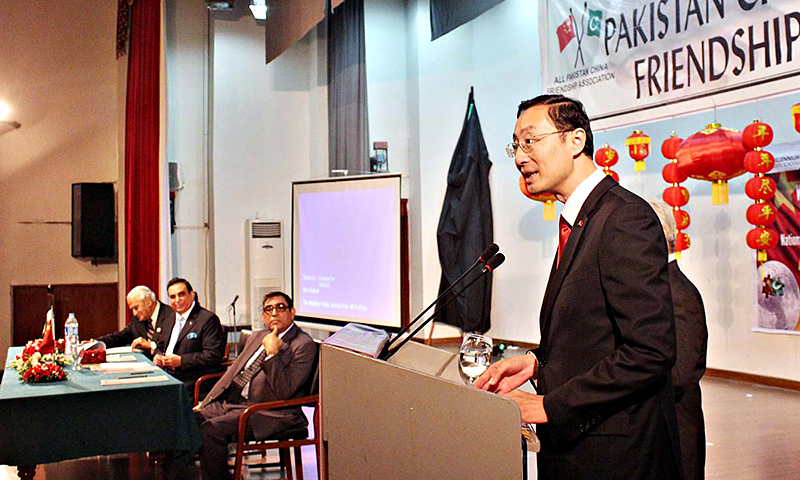 While speaking to the media representatives in the Foreign Office, the Chinese Ambassador said the concept of an economic corridor would bring an economic revolution in western China and Pakistan, and for the completion of this purpose Pakistan and China would have to work in unison. Talking about the Sino-Pak Economic Corridor Mr Weidong further said it is a long-term project however both the countries were committed to enjoy its early fruits after five to seven years. He also said that there were dozens of other projects which were linked to the construction of the economic corridor and that for the early completion of the corridor, construction of motorways, the Karakoram Highway and development of other infrastructure was significant. He added that the Gwadar port held great strategic importance for Pakistan and China would preferably continue trade with Pakistan through it.